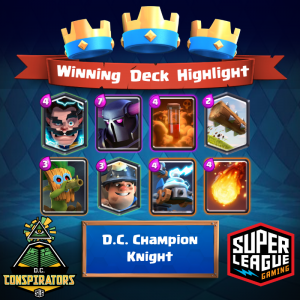 Yesterday, Super League Clash Nights launched in D.C., Las Vegas, and Tampa Bay! 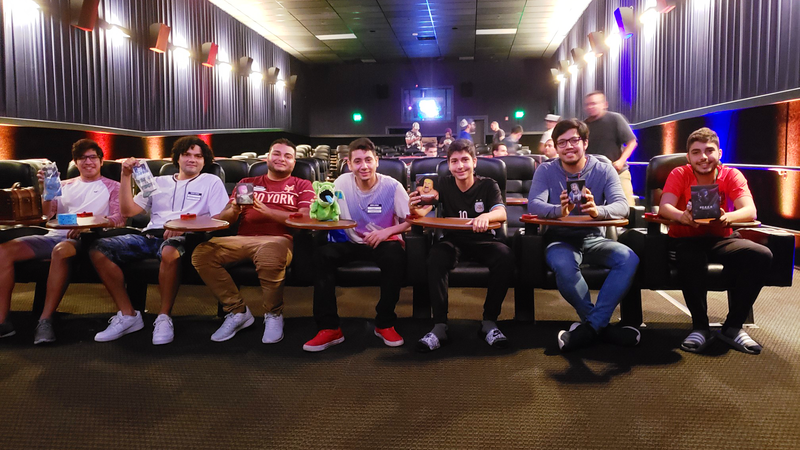 Read on to find out what decks dominated the finals and watch gameplay from last night through Super League TV. 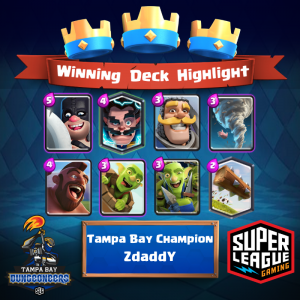 Congrats to Knight (D.C.), Jake (Las Vegas), and ZdaddY (Tampa Bay) for winning the very first Super League Clash Nights in their cities! With one minute left in the first game of the finals, Knight was at full health… That is, until Jabroni Swaggin came in and brought Jake’s princess tower to 3 health, and finally, 0. But what Knight does not fight for his honor? The noble player claimed the next two victories with the help of his Miner. Jake preyed on Fire Rocket‘s left princess tower during the finals, taking it down in overtime for both games. 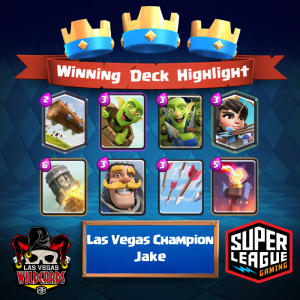 Though Jake’s chances of winning the first game seemed questionable with a princess tower at 480, he managed to come back and do 1299 damage to Fire Rocket’s tower in seconds and won the game. ZdaddY‘s Hogriders carried him to victory as ( AdrianG ) struggled to counter it. Seeing as ZdaddY took home both games in the finals, I guess you could say he hogged all the glory.